Take the Race to a Whole New Level! 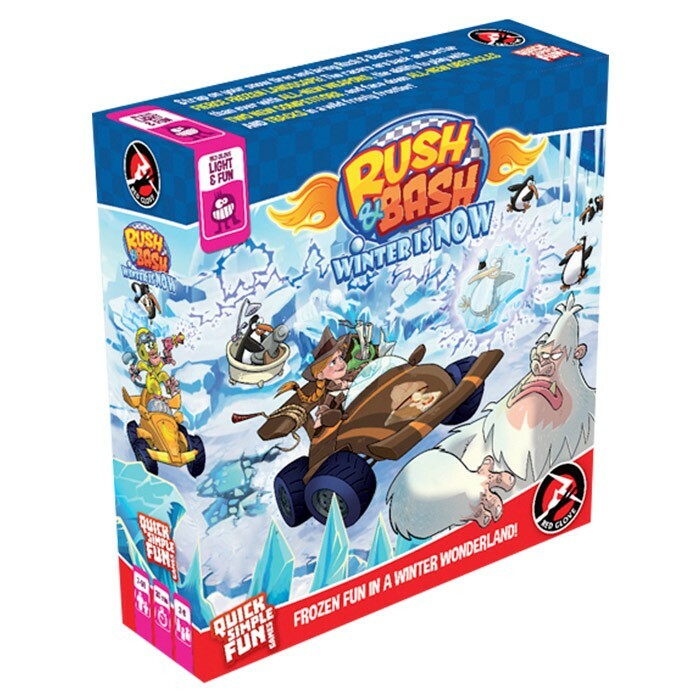 The first expansion to Rush & Bash introduces a series of modular features. Mix and match these modules however you like to enhance your game experience. Racing in icy winter conditions means drivers are faced with new challenges. Four arctic circuit sheets bring wild new obstacles, and exciting Magic Nitro effects arm players with powerful tools to aim at the environment and each other. Face off against mischievous penguins, slick turns, new racers…and even the vengeful ghost of a legendary driver! Ladies and gentlemen….start your engines!